This weekend, we revisited our coat closet door; the door that taught us so many life lessons. When we purchased it from our local architectural salvage, we were told that it was old (obviously), and we could see that there were 2, maybe 3 layers of paint we’d need to strip off. We wanted to go much darker (navy or black; more on that after the saga that is this door! ), so it was important for us to get every single layer of paint off, which would allow the details in the paneling to shine through once we were done. Our goal for the weekend? Strip the paint, spackle and fill the dents and grooves and prime it with a dark base. (We’d be painting it once it was framed out with drywall, after the contractor’s work was complete.) But – surprise, surprise! – this didn’t happen. At one point when discussing our stairs, a reader mentioned that it would be a good idea for us to test the old paint for lead. In our honeymoon induced state of love for this house, a thought like that honestly hadn’t crossed our minds, but ever since, it’s all we can think about. Oops, Scott, before you sand those walls, do you think they’re laced with lead? Be careful walking down the stairs! We don’t want to cause any lead chips for the kids to inhale. And now, the closet door. Wait! This door is almost 100 years old. Should we test it for lead? Now, I read enough blogs to know that it’s smart to check paint on salvaged furniture for lead (just in case, anything from the 70s and prior can trigger a positive result), but with every post I read about safety first!, I never see a test come back positive. Until ours. ONE. Protection! We actually have a handful of throw away jumpsuits (we know, how random! ), which were given to us by our neighbors. I geared up in one of those, used a dust mask and eye protection, and I swapped out a fresh set of latex gloves between each scraping marathon. TWO. We laid a heavy duty plastic drop cloth (at least 6 mil thick) under our workspace to trap any and all discarded paint. (And by Sunday, we had to move the entire set up to the back deck due to rain.) THREE. Jack and the girls were confined indoors; this was a paws-off zone. … And by the time I was finished with my first coat, the top of the door had already started to bubble up. The first coat of paint was not oil-based, and using a putty knife and wire brush, this layer came up ridiculously easy. We were a little disappointed that the Citristrip only pulled up one layer – I suppose we were hoping for multiple layers to pull up at once; not so much – so I spread the paint stripper over the front surface of the door again. After the latex paint was pulled up, every subsequent layer was oil-based, so I covered the door with trash bags to keep the Citrstrip wet. Two hours later, I was able to get off coat #2. With every coat that was pulled up, it seemed the next coat was stronger and more determined to stick. (They were serious about their lead-laced-paint back in the day, apparently!) This was me, all day Saturday, Sunday and Monday: Strip, wait, scrape, brush, repeat. Again and again and again. In and out of my little jumpsuit I went, waiting hours (and at some points, over night) between each layer, watching the clock and cursing the smell of citrus. But! Monday! By Monday – after layers of white, ivory, sage and more ivory – we hit wood! I allowed the final coat of stripper to sit for a full 24 hours, and with a lot of determination, I scraped and brushed every last bit of lead loaded paint from that door. Um, well, the front of the door at least. Over the course of my 3 days of scraping, I would discard the the larger chunks of paint in a trash bin (with a liner, placed on top of my plastic drop cloth), and everything I couldn’t toss right away fell directly to the plastic drop cloth below. I cleaned the door with a rag soaked in mineral spirits, and I did the same with the putty knife I used throughout the process. Once the door had been scrubbed clean, Scott and I moved the door inside, and I folded the entire plastic drop cloth in on itself, trapping every bit of paint. All this fit into the same liner where I had been tossing paint, and I tied everything up – metal scrub brush, paintbrush, jumpsuit, and disposable gloves included. Eventually, the front door will be completely replaced (we’re in the midst of that agonizing decision right now – doors! Who knew they’d be such a hot topic for us? ), and with the help of suggestions from Cait, we’re leaning towards adding a transom window. Regardless of where we land on that decision, you know we’re going with Behr’s Subtle Touch for the walls, the trim’ll be bright white, the floor will be tiled in a neutral color (we think!) and the front door and closet door will be the same shade of… Hague Blue? Off-Black? Or maybe Intellectual? Hague Blue is the darkest shade of navy (this is probably tough to see on the screen, but we were smitten with it in Em Henderson’s photo), but if we’re going that dark, should we just go all the way? Or should we tone it down a notch with a deep gray? Or, or… what else? Whew! “Labor of Love” doesn’t adequately cover that stripping job, now does it? 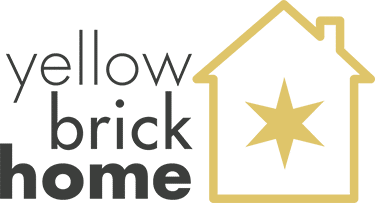 I love reading about all the wonderful things you are doing to your home! Sounds like you had quite an adventure with your door – I love that you said you stopped chewing on the door hahaha. That’s one of the best parts of signing a lease or something where they have to declare there might be lead paint – I’ll try to stay away from chewing the window sills but I can’t make any promises haha. Kim, thanks! What brand/name of black paint did you use? Heather, Jack was so pathetic. He’s so used to roaming around HIS yard when we’re working on things, so he made sure to give me his very pathetic face. It’s specially made for removing lead paint and apparently makes the job much easier. 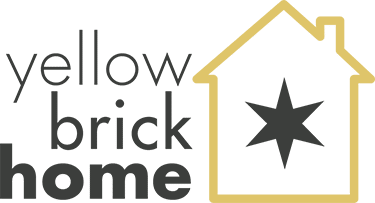 The people over at my OTHER favorite home decorating/restoration blog “Old Town Home” use it all the time in restoring their Victorian era town home in VA. I’ve never used it personally, but these people are INTENSE about their using of correct methods and restoring things properly. Go look them up! Hopefully you can use it on those stairs/any other future lead paint removal so you’re not constantly in and out of the suit! Ooooh!!!!!!!! Pretty, I vote off black, such a cool interesting shade. Just a quick note – I think my heart jumped a little when I saw your mask with the bottom strap hanging lose. N95 masks do not provide full protection if they are worn improperly in this way (they don’t even work fully for guys with facial hair that prevents the mask from sealing around the mouth and nose). I don’t mean to nag but my flu-epidemic-hospital-employee radar alarm starting blaring as soon as I saw it. Just an FYI…you do realize that door is solid oak, right? It would be simply gorgeous stained a deep dark stain color. Wood is so lovely mixed in with your chosen paint finishes, which I also love. Consider keeping the wood…at least until you see what the stairs look like. Perhaps the stairs are pine and that wood grain is not nearly as pretty when stained, IMO. As an aside, you also may want to check out getting your doors “dipped” in paint/varnish remover. You might have to look around for a professional that does this, but you can save yourself the potential dangers of doing it yourself. You would still have much less cost than purchasing brand new solid wood doors. Ooh, I definitely love off-black the best.